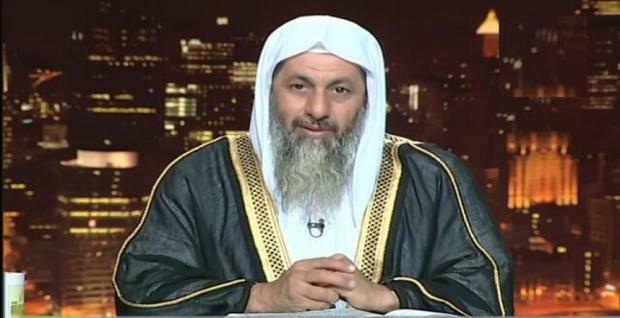 The fatwa of the Salafist preacher Mustapha al-Adawi, rejecting the idea of ​​religious parties, raised a great controversy within the Salafist movement after he announced his acquittal from all parties affiliated with the religious trend. "Adawi", one of the poles of the so-called "Salafi scientific", one of the factions of the Salafi trend, and this faction is interested in legal forensic science, such as: issues of faith, Tawheed, and jurisprudence, with the followers of the Sunnah and the denial of innovations. "All the Islamic parties have proved their failure to lead the nation of Muhammad, and we are asking forgiveness for Allah," Adawi says in a video posted on his personal page on the social networking site Facebook on March 2, 2018. He said earlier that he had supported the Salafist party because many of the Salafi sheikhs in Alexandria said that their entry into the party was because of the existence of the Islamic law in the 2012 Constitution, which stated that "Islam is the religion of the state, Arabic is its official language , And the principles of Islamic law is the main source of legislation, "pointing out that the experience has now proved the failure of all these claims, stressing that these parties founded on the democratic system contrary to Islam, and therefore will come no better than them, and will not benefit Islam and Muslims. Such fatwas opened the door to talk about the fate of the religious parties established by the Islamic currents after the revolution of January 25, 2011, and the number of them: the number reached 15 parties with Islamic reference, as announced by its founders. The party, which has Islamic authority, is the one who adopts Islamic law as a reference to its policies. This means that it does not agree with any law that violates the shari'a. These parties also allow the Al-Azhar Foundation, the highest official Islamic body in the country, to intervene in controversial cases. The following are the most important religious-religious parties and their current status, including "Freedom and justice, the homeland, light, originality, the center, construction and development, independence, virtue, reform and revival." Freedom and Justice: The political arm of the Muslim Brotherhood, founded June 6, 2011, following the January 25 revolution, won the parliamentary majority in the first parliamentary elections held after the January 2011 revolution. It won 213 parliamentary seats, Mohamed Morsi, the former president of Egypt, was the first president of the party. One of his leading members also won the post of speaker of parliament, Dr. Mohammad Saad al-Katatni, speaker of the 2012 parliament, and head of the Freedom and Justice Party before his dissolution. On August 9, 2013, the Supreme Administrative Court - the highest court in the Judicial Section of the Egyptian Council of State, headed by the Premier - decided to dissolve the party on the request of the Political Parties Affairs Committee. Construction and Development: The political arm of the Islamic Group - the violence against the state in the 1990s - was founded on June 20, 2011, won 10 seats in the 2012 Parliament and was a supporter of the Brotherhood in power. After June 30, Support a legitimacy "- a political alliance composed of Islamic forces and political parties - to demand the return of the deposed President Mohamed Morsi to rule after the June 30 revolution. The leader of Tariq al-Zomor, the party's leader, remained a long period after his escape to Turkey, but he announced his resignation from the party's presidency after he was sentenced in the case of supporting terrorism. "Construction and Development" is one of the parties that is prone to a solution of terrorism. Al- Nur: The political arm of the Salafi Dawa Party, announced its establishment in 2011, and was a rejection of political action, and participation in parliament; but after the revolution in January changed his vision, and participated in political life, and got 124 seats in the parliamentary elections 2012, On 45 seats in the elections of the Shura Council 2012 - one of the two parliamentary councils in Egypt, and is the upper chamber of the Egyptian parliament. Imad Abdul Ghafour, the first president of the party, but after major problems with the leaders of the party broke up, and announced the establishment of a new party under the name of "homeland" and took Younis Makhion, a member of the Shura Council of the call Salafi, the presidency of "light" since the ninth of January 2013 until now. Al-Nur also supported the "road map" - a framework announced by the then Egyptian Defense Minister, General Abdel Fattah al-Sisi, on 3 July 2013, by which former President Mohamed Morsi was deposed, the Constitution of the country was disrupted, - He declared his support for the current Egyptian president, Abdel Fattah al-Sisi, during his presidential election in 2014, and the party won nine seats in the 2014 parliamentary elections. Al-Watan was founded by Imaduddin Abdul Ghafour after his resignation from the presidency of the Noor party on January 1, 2013. He is currently president of the party. The party joined the Alliance for the Support of Legitimacy and boycotted the parliamentary elections in 2014 and declared its boycott of any presidential elections or referenda. The center was founded in 1996 by a group of dissidents from the Muslim Brotherhood, including Abu Ala Madi, Issam Sultan, Hatem Azzam and Mohammad Mahsoub. The party is classified as an Islamic reference authority, and its founders submitted it several times in 1996, 1998 and 2004. , And rejected the Committee on Party Affairs three applications, under the rule of former President Hosni Mubarak, which carried out the revolution of January 25, 2011 against his regime, and after the revolution approved by the Committee on its establishment on 19 February 2011. Most of Al-Wasat's positions were affiliated with the positions of the Muslim Brotherhood. After June 30, 2013, he joined the Alliance for the Support of Legitimacy and sentenced its president, Abu Ala 'Madi, and the party's deputies to support terrorism. However, he was released in August 2015, A period of pre-trial detention, without referral to trial, which is two years. Virtue: It was announced after the revolution of 25 January and announced its founding in 2011. Its members and founders belong to the Salafist trend and have no influence on the street. The party is headed by Mahmoud Fathi Badr, one of the fugitives to Turkey. Rabaa al-Adawiya, "which revealed the investigation papers - initiated by the Supreme State Security Prosecution in the assassination of the late Attorney General Hisham Barakat - about his involvement in supporting and establishing the group executing the operation. Asala, one of the parties formed by the Salafis after the January revolution, was founded by Maj. Adel Abdulmaksoud Afifi in July 2011, and was the head of the Virtue Party, before he and some members of the executive branch split from Fadila to establish the Authenticity Party. On October 23, 2011, Asala "with the parties of" light "and" construction and development "by forming the so-called alliance of the Islamic bloc - an Islamic party alliance in Egypt was established on 23 October 2011.